Can absolute rights conflict? Is it permissible to torture a person to save others from torture? And what can judges learn from trolleys? In this article, presented as a reply to an article by Steven Greer, I investigate the above questions in the context of the case law of the European Court of Human Rights. Drawing on Gäfgen v Germany, I construct a hypothetical case of conflicting absolute rights, which cannot be resolved by the existing strands of legal reasoning in the case law of the Court. Instead, I argue, recourse must be had to moral reasoning. In discussing one of moral philosophy’s deepest conundrums—the Trolley Problem—I rely on the distinction between negative and positive obligations and between direct and indirect agency to unravel the dilemma. Translating the moral argument into legal reasoning, I conclude that in cases of conflicts between absolute rights, negative obligations principally trump positive obligations. Labour rights have been neglected in human rights law. Classified usually as social rights, they have been excluded from key human rights conventions. Recently, the European Court of Human Rights has developed a technique, known as an ‘integrated approach to interpretation’, because it integrates social and labour rights in the European Convention on Human Rights. The first part of this article presents case law and debates on the adoption of this technique, and also discusses the example of Canada, where similar developments are taking place. It finds controversy in literature, and uncertainty in judicial decision-making. The second part, therefore, develops a normative justification for the integrated approach in interpreting labour rights. This is based on freedom, a key value underlying civil and political rights. 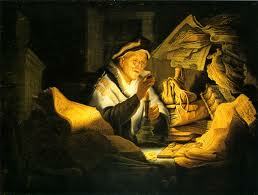 Negative accounts of freedom are inadequate, though, for reasons that the article explains. Instead, it analyses positive freedom in light of the theory of capabilities, which leads to the collapse of sharp divisions between groups of rights. A positive account of freedom as capability requires the protection of labour rights under the European Convention on Human Rights, and leads to the development of important principles on human rights at work. Freedom of conscience and religion is probably unique in its potential to challenge almost every area of law. Since society contains a multitude of religious and moral beliefs, many religious people will constantly be faced with practices with which they disagree and will in a myriad of ways be constrained from living an ideally religious life. Not all of this can constitute an interference with the right under Article 9 of the European Convention on Human Rights (ECHR) to manifest belief ‘in teaching, practice and observance’. 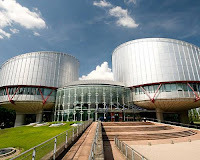 However, the European Court of Human Rights’ (‘the Court’) approach has historically been unnecessarily restrictive in considering whether an interference under Article 9(1) exists, thus shutting out cases at an early stage of reasoning and before justification is considered under Article 9(2). This approach has been narrowed even further by the British courts. * L. Van Den Eynde, 'An Empirical Look at the Amicus Curiae Practice of Human Rights NGOs before the European Court of Human Rights', NQHR, vol. 31, no. 3 (2013). * Dean Spielmann, 'Article 6 ECHR in Criminal Proceedings: Recent Developments'. * Daniel Rietiker, 'The European Court of Human Rights from a Comparative Law Viewpoint: A Logical Example of a ‘Mixed Jurisdiction’ Court'. * Nasia Hadjigeorgiou,Kazali and Others v. Cyprus (no. 49247/08),6 March 2012. * Noora Arajärvi, De Souza Ribeiro v. France (no. 22689/07) – Grand Chamber Judgement of 13 December 2012. * Daniel Augenstein, 'Normative fault-lines of trans-national human rights jurisprudence: National pride and religious prejudice in the European legal space'. The accession of the European Union to the European Convention on Human Rights raises questions about the autonomy of EU law, and about the future relationship between the EU Court of Justice and the European Court of Human Rights. The concept of autonomy appears to confirm prevailing theories about the relationships between legal systems in Europe, i.e. legal and constitutional pluralism. This study challenges those theories, and proposes an alternative paradigm: the integration of laws. Its central argument is that the EU system of human rights protection is increasingly characterized by its integration with the national constitutional laws of the Member States and with the ECHR. It argues that in integrated legal systems, conflicts between supreme adjudicators can be resolved from within the law. Each of the supreme/constitutional courts needs to recognize the limits of its jurisdiction, but is also sharing jurisdiction with the others. This principle of limited and shared jurisdiction is a tool for resolving conflicts, leading away from a conception of a deep conflict of supreme judicial authority. Integrated legal systems are governed by a law of integration, which is there for all to see. The article touches upon some of the elements of that law of integration. It goes on to investigate the scope for EU law autonomy—which is in essence concerned with safeguarding the jurisdiction of the Court of Justice—in connection with accession to the ECHR. It argues that the principle of limited and shared jurisdiction should govern the relationship between the two European courts, and that it is capable of ensuring that the European Court of Human Rights does not decide matters of EU competence, or EU law generally. But the principle also means that the Court of Justice will be bound by judgments of the European Court of Human Rights. Shawn Alexander, Leah Graf and Eric Janus, ‘M. v. Germany: the European Court of Human Rights takes a critical look at preventive detention’, Arizona journal of international and comparative law, vol. 29, no. 3 (2012) pp. 605-622. Frederick Cowel, ‘Sovereignty and the question of derogation: an analysis of article 15 of the ECHR and the absence of a derogation clause in the ACHPR’, Birkbeck law review, vol. 1, no. 1 (2013) pp. 135-162. Anatole Boute, ‘The protection of property rights under the European Convention on Human Rights and the promotion of low-carbon investments’, Climate law, vol. 1 (2010) pp. 93-132. Jonas Gulde, ‘An assessment of the European Court of Human Rights’ balancing of the rights to privacy and freedom of expression – is it satisfactory?’, Edinburgh student law review, vol. 2, no. 1 (2013) pp. 29-41. Judith Smyth, ‘Explaining equality: the concept of dignity in article 14 of the European Convention on Human Rights’, Edinburgh student law review, vol. 2, no. 1 (2013) pp. 67-73. Ross K. Holberg, ‘Italy’s policy of pushing back African migrants on the high seas rejected by the European Court of Human Rights in the case of Hirsi Jamaa & Others v. Italy’, Georgetown immigration law journal, vol. 26, no. 1 (2011/12) pp. 467-474. Helene Lambert, ‘The next frontier: expanding protection in Europe for victims of armed conflict and indiscriminate violence’, International journal of refugee law, vol. 25, no. 2 (2013), pp. 207-234. Maarten den Heijer, ‘Reflections on refoulement and collective expulsion in the Hirsi case’, International journal of refugee law, vol. 25, no. 2 (2013), pp. 265-290. Nicholas Blake, ‘Luxembourg, Strasbourg and the national court: the emergence of a country guidance system for refugee and human rights protection’, International journal of refugee law, vol. 25, no. 2 (2013), pp. 349-372. Christina Eckes and Stephan Hollenberg, ‘Reconciling different legal spheres in theory and practice: pluralism and constitutionalism in the cases of Al-Jedda, Ahmed and Nada’, Maastricht journal of European and comparative law, vol. 20, no. 2 (2013) pp. 220-242. Francesca Ippolito, ‘The contribution of the European Court to the common European asylum system and its ongoing recast process’, Maastricht journal of European andcomparative law, vol. 20, no. 2 (2013) pp. 261-281. Liz Campbell, ‘Criminal labels, the European Convention on Human Rights and the presumption of innocence’, Modern law review, vol. 76, no. 4 (2013) pp. 681-707. Alexandru Boroi, ‘Examination of the provisions governing the interceptions of conversations and communications according to the European Court of Human Rights jurisprudence’, Acta Universitatis Danubius: juridica, vol. 9, no. 1 (2013) pp. 58-70. Francesca Ippolito, ‘Detention of irregular migrants: dialogue and divergence between the Inter-American and European human rights courts’, Revue Hellenique de droit international, vol. 65, no. 2 (2012) pp. 583-596. As is well known, the issue of the EU Accession to the European Convention on Human Rights is not a new one. It has been the subject of debate many times among scholars and politicians. While the Commission endorsed the accession in many instances, the ECJ argued in its opinion of 28 March 1996 that accession could be brought only by way of Treaty amendment. The next steps of the accession issue are well known: initially the EU accession to the ECHR was optional according to the Draft Treaty establishing a Constitution for Europe. Then, it became a legal obligation under the Treaty of Lisbon – as it had also been under the failed Constitutional Treaty. The multi-layered and complicated issues of the EU accession to the ECHR and its importance for the human rights protection in Europe were discussed intensively by experts from both a theoretical and practical background for two days in Lisbon. The present volume puts the revised editions of the presentations together with the contributions presented in the „Workshop of Junior Scholars“, a forum, in which qualified young academics present and discuss their own papers within the theme of the Congress. The contributions are published in the respective language used for each presentation, which may be one of the three „official“ languages of the SIPE, namely English, French and German. 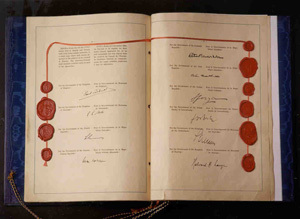 Today marks the 60th anniversary of the entry into force of the European Convention on Human Rights on 3 September 1953. This was within three years of the formal signature on 4 November 1950 in Rome - the date usually referred to mark Convention milestones. In September 1953, Luxembourg, the home of the Court's current president, Dean Spielmann, ratified the Convention as the tenth state, which triggered the entry into force. It would take many more years before the majority and eventually all state parties would recognize the right of individual application and the jurisdiction of the Court. The start was thus relatively slow, but the Convention's and Court's effectiveness quickly gained pace from the 1970s onwards, growing into what it is now: an almost continent-wide instrument of human rights protection. In a slightly ironic twist of history, the Arab League decided this very week to set up an Arab Court of Human Rights in Bahrein, a state that two years ago violently crushed protests. The Arab Court idea is said to have been inspired by the Court in Strasbourg, but the new idea has immediately been as a PR stunt by human rights institutes in the region itself, who do not believe that this will be a serious effort at human rights protection. Of course, that remains to be seen and the European Court also took years to fully function and become the protector that it is today. In any event,one may hope that the new Arab Court will not be a fig leaf but will be developed as something serious, maybe with practical help from its European peer.